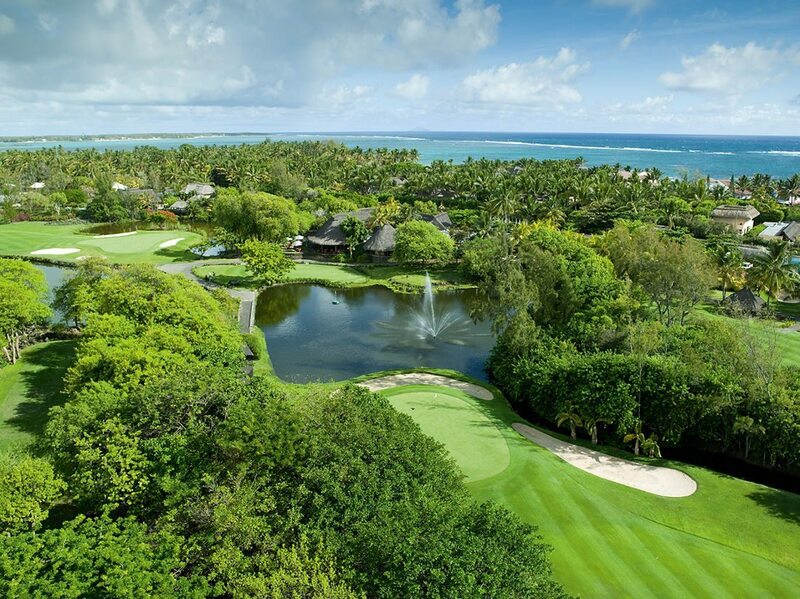 Did you know that residents of the Belle Mare Plage Hotel can benefit of free rounds of golf ? With it’s 2km white sand beach overseeing a magnificent turquoise blue sea, the Belle Mare plage is one of the most prestigious golf resort Mauritius. It is rated a 5 star golf resort hotel with a luxurious and yet cosy atmosphere. The hotel will not fail to impress with everything it has to offer its guests. The Belle Mare Plage hotel has something to please any of its residents. The passionate golfers residing there are not excluded. The hotel has two 18 hole golf courses, The Links Golf Course and The Legend Golf Course. Each resident of the 5 star hotel can benefit of one free round of golf per day at both golf courses. A gift fit for a perfect golf holiday! Guests coming with kids will not fail to enjoy the hotel’s various facilities as well. The Constance Kids Club will keep the most adventurous and playful kids entertained. It is equipped with a swimming pool, open play areas, outdoor space and so much more. Parents can even enjoy this quality holiday time with their children. One can even make the most of the facilities available such as a pampering spa session, a good workout at the gym, or by enjoying the various water sport activities. For those who simply need to sit back and relax, there are seven distinguished restaurants and 6 trendy bars at your reach. With all the activities and facilities available at the Belle Mare Plage Hotel you would definitely wish holidays in Mauritius would never end!